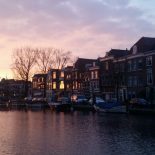 Violet, indigo, blue, green, yellow, orange, red and all the shades inbetween, Leiden truly stands up to this magical array. It is as all encompassing and all inclusive. 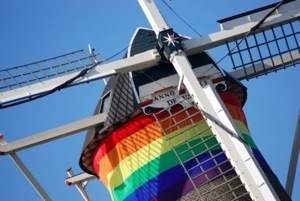 Netherlands is one of the most progressive countries when it comes to LGBT rights movement. I felt very safe to express my sexuality. It was never an hinderence nor an added benefit. You are truely treated as an equal. Being an active member of gay rights movement back home, I always made room to ascertain myself and advocate the same. However in the Netherlands I had little less to speak, given the fact that everything is already legalized and way ahead than in my own country. Still there was quite a bit happening in Leiden on the queer front. 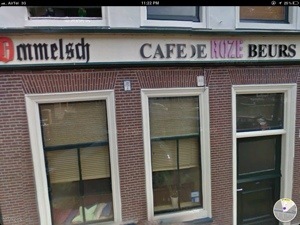 There are two dedicated bars, De Kroon and Roze Beurs and many places actively promote themselves as gay friendly. 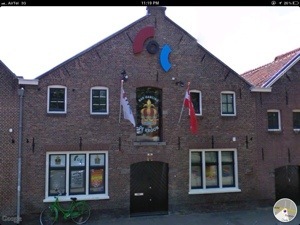 De croons is maintained by COC Leiden. COC stands for Cultuur en Ontspanningscentrum (Center for Culture and Leisure), which was a cover name under which gay men and women met during the dutch dark age of homophobia. They organize, parties, dinners, talks and other activities on a regular basis. Saturday evening discos are the most popular though. 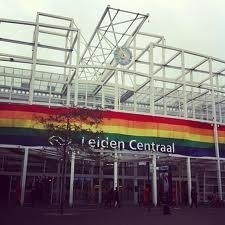 Once during my stay in Leiden the city expressed its welcoming attitude by hoisting a huge rainbow flag across its central station facade. And Leiden is ofcourse just a few stones throw away from Amsterdam, a city that needs no introduction. It is touted to be the gay capital of Europe. What I experienced all through last year was Freedon in the real sence and it has inspired to hope and envision the same for India and other countries in the world. This entry was posted on August 25, 2012 by admin@theleidener in Shiva.